White Widow is probably the world's favourite weed. Winner of the 1995 Cannabis Cup, it is among the most popular varieties on coffeeshop menus in Holland. White Widow Buds are fairly compact to support its massive amounts of white resin. White Widow gives a powerful buzz, being both energetic and very social. With THC levels at approximately 20%, White Widow weed seeds are one of the strongest strains in the world. Also try White Widow Feminized Seeds. Love this strain so far the best.. Have been looking for something to toke when I retire. 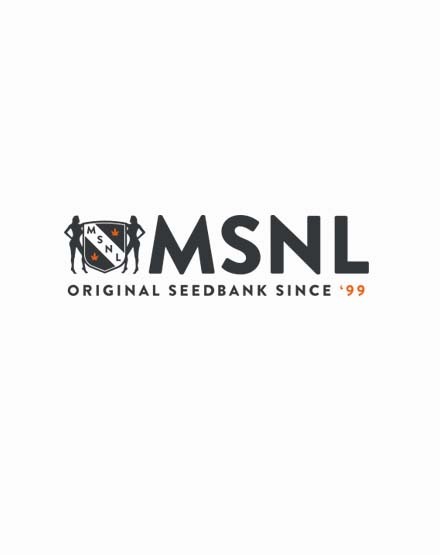 Have been buying small amounts of seeds from these folks and have been REAL happy with the seeds and the service from MSNL!! I highly recommend them! Everything you've heard about this is true - it's an outrageous strain. Makes me feel super spacy. Don't know bout the reviews saying this is uplifting. gives me serious couch lock, can't move for hours. really stoned, but can't get anything done. This can be a seriously choky strain, even if you don't feel that with the first few hits. I highly recommend vaping this stuff. Great strain, but choky. "Been around for years, will keep stickin around"
White Widow is a classic strain that has been around for a long time and will continue to be around. There are some stoners you just have to mention the name and they won't leave ya alone til ya fess up where ya found it. This one is legendary for all the very right reasons! Won't drag you down, but still brings that classic high - and taste - that widow is known for. "It'll make ya feel better!" Got a couple jars of White Widow right now, they look real tasty, can't wait to try em! Have had White Widow before and have to say, none of the cross strains even come close. I have an anxiety disorder and White Widow has always been able to calm me down. Also great for aches and pains, and sleeplessness, things that I've also suffered from. A great medicinal smoke. This girl did great for me indoors. I did have a couple that turned hermaphrodite, but those ones were bag seeds so who knows what happened there. Great for first-time growers too, she doesn't need a ton of maintenance. "Nice mix of a high"
Find that I can get into my head quite a bit when I first smoke, but it settles into a nice relaxing couch lock. A nice mix, the best of both worlds, definitely why it's always a favorite. "best smoke of the dam"
look for this every time i go to the dam and it's always readily available. one of my all time favorite smokes, easy to see why it's so popular. "Still as great a smoke as ever"
Been smokin this stuff since the 90s, and even remember when it won the Cup. Cross strains are nice too, but there's nuthin like the original. Still one of the best seed genetics. Stable and a serious resin producer.